Salmon Celebration Highlights Fish's Role In Canada's Indigenous Cultures : The Salt Warming oceans and development threaten the West Coast's wild salmon. So activists started a traveling celebration to draw attention to the plight of the sockeye in Canada's Fraser River. 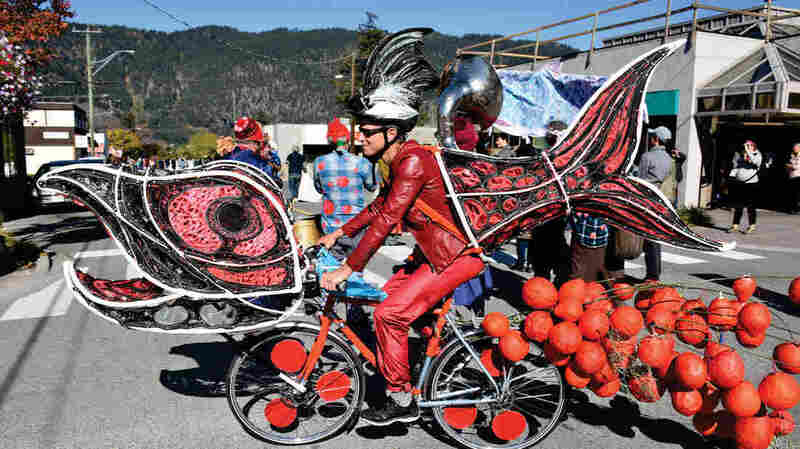 Vancouver activist and community food developer Ian Marcuse rides a bike outfitted like a spawning salmon created by artist Tamara Unroe. 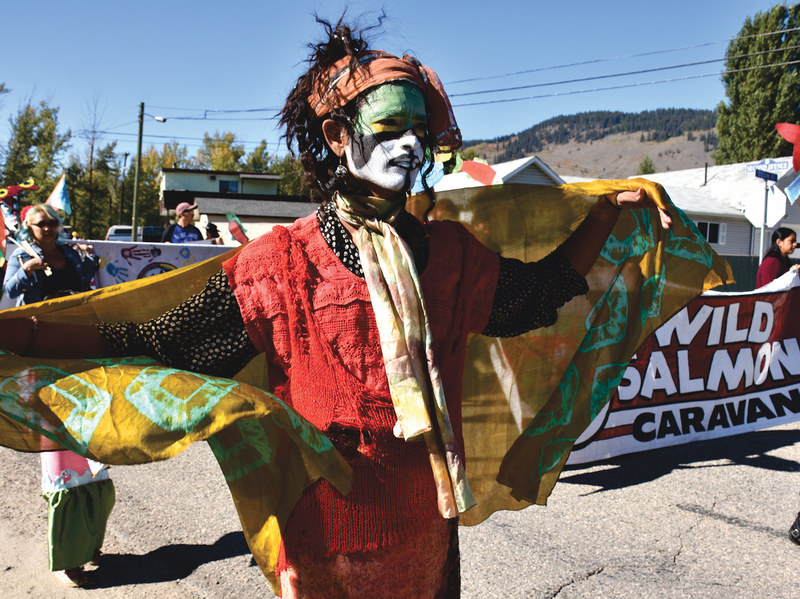 Caravan supporter Shahir Qrishnaswamy, originally from Malawi, takes part in the Wild Salmon Caravan Parade in Chase, British Columbia. 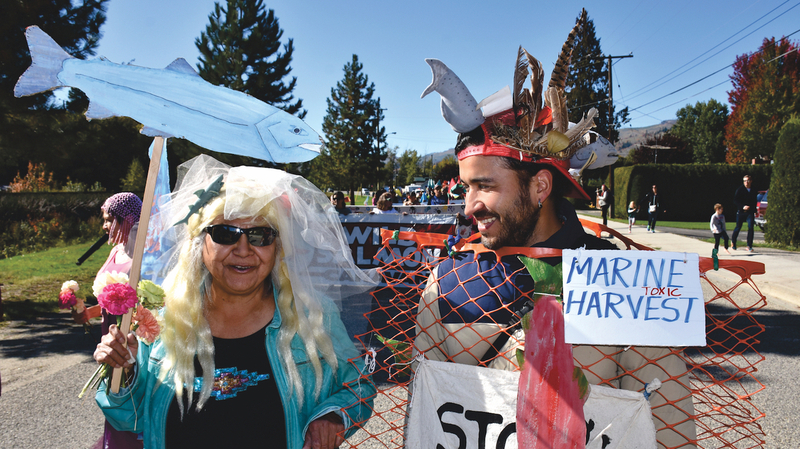 Participants in Canada's Wild Salmon Caravan, like Secwepemc matriarch Bernice Heather and hydro geologist Ricardo Segovia, are concerned about the effects of open net salmon farms, pollution, and dams.